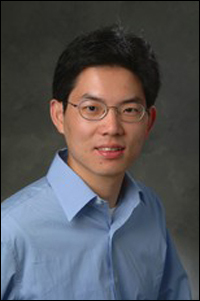 ECE/ISR alumnus Xiaobo Tan is leading a new National Science Foundation Research Experiences for Teachers in Engineering (RET) program at Michigan State University (MSU). The program focuses on biology-inspired technology and systems. Tan is an MSU assistant professor in electrical and computer engineering. He earned his Ph.D. in electrical engineering in 2002, advised by Professor John Baras (ECE/ISR) and Professor P.S. Krishnaprasad (ECE/ISR). The new program is aimed at providing training for science, technology, engineering and mathematics middle and high school teachers. The teachers will participate in cutting-edge research in artificial muscles, robotic fish, biosensors, biomechanics, biofuels, digital evolution and biomolecular engineering. Since earning his Ph.D. at the University of Maryland, Tan has been working on developing highly maneuverable "biomimetic" robotic fish. He was the recipient of an NSF CAREER Award for "Dexterous Biomimetic Micromanipulation Using Artificial Muscles: Modeling, Sensing, and Control," which developed a knowledge base in electroactive polymers. Currently, his research is funded by an Office of Naval Research award to develop robots based on biological principles that incorporate biomimetic electroactive polymers.